The stage is all set for the 2018 Oceania Sevens Championship as teams are geared up for a tough two-day competition which starts today at the ANZ Stadium, Suva. 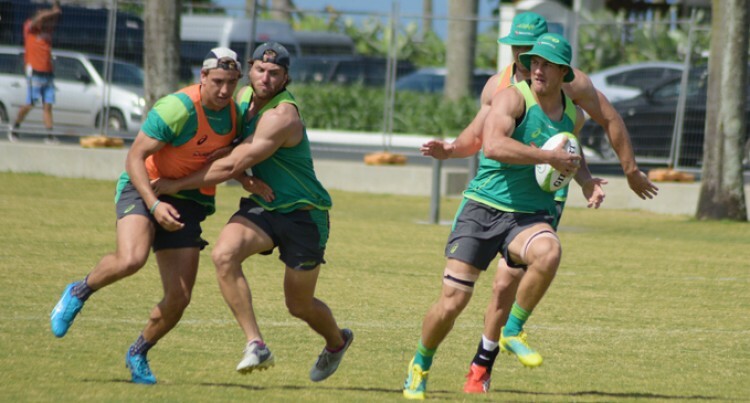 Australian sevens side during training at Albert Park in Suva for Oceania Rugby Sevens Championship on November 8, 2018. Photo: Ronald Kumar. Tournament co-ordinator Inoke Bainimarama said they have wrapped up with final preparations and anticipates an exciting two days of competition. “This is the second year of hosting the Oceania Sevens and we are fortunate to have received a three- year partnership with the Government to host this tournament. “We are also grateful to the support we received from Fiji Rugby Union in trying to make all the basic arrangements and organise things before game day. “And we are now counting down the final hours before the first game kicks off at 11am. “As far as ticket sales is concerned the numbers have increased and we have adviced the public to purchase before game day to avoid late rush at the gates.